Almost every brand I work with has a community policy, an environmental policy, a sustainability policy … as they should. And everyone seems to acknowledge that the policy or policies they have form an important part of their reputation and their stakeholder relations … as they should. And yet precious few brands have actively connected those social responsibility activities with their brand. They haven’t yet capitalised on extending their brand story to encapsulate those critical social elements. Instead, they have treated their brand and their social responsibility policies as entirely separate company matters. And I think the reason why is that many companies view their community relations or their environmental approach as corporate and/or compliance issues. They simply don’t see that those issues are intrinsically linked to the opinions and values of their brands. Every brand has policies. Most brands don’t have distinctive policies. So while they can often spell out clearly what policy they have, they often don’t spell out why they have the policy they have. And they often don’t look for ways to differentiate that policy from what others are saying in ways that are authentic to them (which is why so much of what companies talk about when they talk about CSR matters all sounds the same). Instead they often look to throw credentials at the issue by citing the standards they are meeting or the accreditations they have earned or bought. The irony of this is that time and time again, we’ve seen brands take a hammering because a company is not seen to have met its social responsibility standards. So there is definitely a case to be made for brands monitoring their social responsibility behaviours. And there is definitely an appetite for ethical purchase. Knowing this, I would suggest that these historically separated matters of brand and social responsibility policy need to be much more closely integrated. The thing is, it really makes sense for a brand to carry its beliefs through into its social responsibility platforms. And there is a clear opportunity for “Because … then” sequencing that so often seems to go missing. 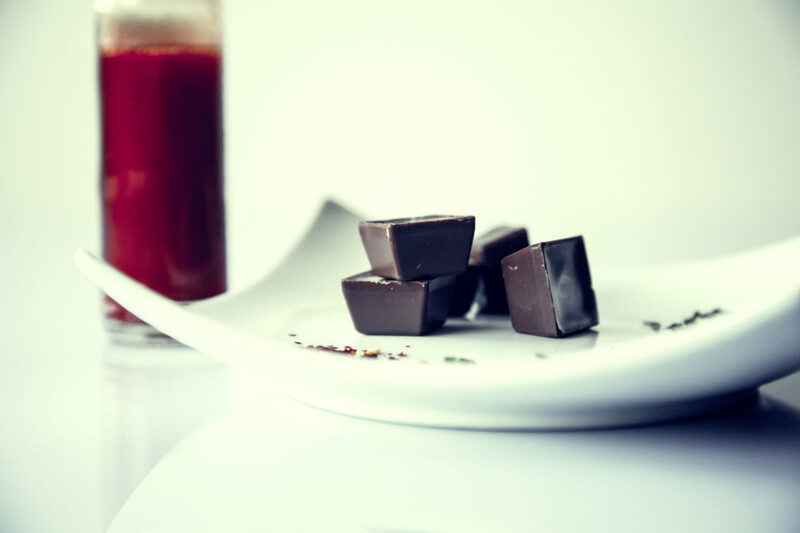 For example, if I managed a chocolate brand centred on good ingredients, I would look for ways to directly link that ethos to social, environmental or communal policies that are centred on protecting or ensuring goodness or integrity. My argument might go something like this: “Because we’re obsessed with making the best chocolate in the world, we’re committed to sourcing the best ingredients in the world. Which is why we insist on ingredients that are grown …” You get the idea. But I wouldn’t stop there. I would also evaluate the social responsibility policies that the company has in the light of the brand commitments I was making to see whether in fact, they are consistent and distinct. To make sure that the actions and the words do in fact align – and that the policy is not just that: textbook statements (platitudes) that could have come out of the mouth of any brand. Question: How does what you’re marketing align with what you’re doing and supporting? When you can answer that, it seems to me, you have a branded social responsibility policy that is so much more powerful and differentiating than citing standards. It makes what you stand for as a brand consistent with how you behave and why you behave the way you do. It makes your position so much more principled, coherent and defendable. And it gives you real reputational metrics to examine the rationale and the effectiveness of what you’re doing in the social arena.